During my senior year at Cornell University, I was a research assistant for Professor Ron Mize. 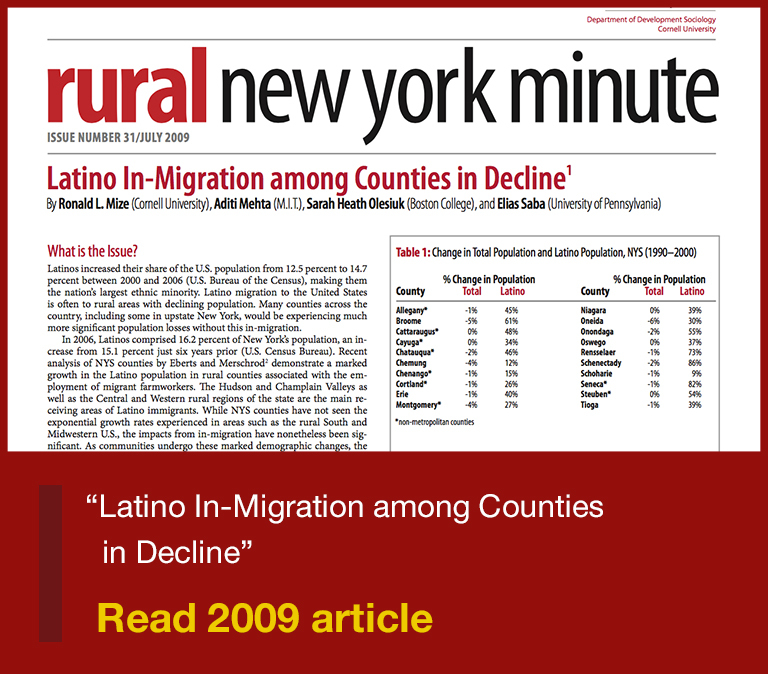 I used Geographic Information Systems to show that while overall population in New York State counties was decreasing between 1990-2000, the Latino population was in fact increasing. We argued that these changing demographic conditions translate into new opportunities and challenges for local communities, setting the stage for more in-depth qualitative research.